What makes Internal Family Systems Therapy a modern and highly effective psychotherapy? Listen to the podcast introduction or read the article below (they’re separate items). “Yes,” the woman eagerly responds. A bit unsure of whether to be confused or insulted, the stunned woman banters with Newhart, but his reply remains the same, which he repeats emphatically at each punch line. The Newhart gag is funny for its absurdity. After all, we can’t tell our depressed, anxious or phobic feelings to just stop. Or can we? Internal Family Systems (IFS) therapy uses a method that allows people to interact with, and fundamentally change, automatic thoughts and feelings. It gives you a chance to make new neural connections to your emotional life, even if it’s nothing like the Bob Newhart school of therapy. Internal Family Systems Therapy recognizes that our psyche is made up of different parts (feelings, thoughts, beliefs, behavior patterns or somatic sensations), sometimes called subpersonalities. For example one part of you might be trying to lose weight and another part might want to eat whatever you want. This is called natural multiplicity of the mind and is a concept threaded through many contemporary psychological theories. Richard Schwartz was a family systems therapist at the time he began to develop Internal Family Systems Therapy, over twenty years ago. He recognized that his clients’ internal psyche acted much like a family; some parts constantly interrupted others and each served certain functions for the larger system. To maintain balance, some parts evolve to serve in a role that protects the person from pain and other parts are exiled and hidden away. When clients are invited to name various parts within them and interact with them as though they are real people, a real family, something dramatic often happens. With some guidance at first, they feel a sense of control and calmness—and there is often a relaxation of somatic complaints that corresponds. With time, the client can learn the positive intent of their parts that behave in unproductive or destructive ways and learn to move them into different roles. The lesson I’ve repeatedly learned over the years of practice is that we must learn to listen to and ultimately embrace [our] unwelcome parts. If we can do that, rather than trying to exile them, they transform. And, though it seems counterintuitive, there’s great relief for therapists in the process of helping clients befriend rather than berate their inner tormentors. I’ve discovered, after painful trial and much error at my clients’ expense, that treating their symptoms and difficulties like varieties of emotional garbage to be eliminated from their systems simply doesn’t work well. Often, the more I’ve joined clients in trying to get rid of their destructive rage and suicidal impulses, the more powerful and resistant these feelings have grown – though they’ve sometimes gone underground to surface at another time, in another way. Specific mindfulness techniques are used to guide people through the process of developing healthy internal relationship with their parts. The goal of Internal Family Systems Therapy is to differentiate internal parts from one another and re-balance the system in a way that best suits the person’s external environment. Like other experiential or imaginal models of therapy, Internal Family Systems Therapy techniques can quickly open up the client’s awareness to new information needed to create change. Careful attention is given to the specific structure of each person’s internal system so that when exiled material is accessed, it is done safely. This is an important distinguishing feature of Internal Family Systems Therapy, known as self leadership. Self leadership is the idea that you are more than your parts and that everyone has a central center, the self. When given the opportunity, the self can be a spiritual agent of compassion, leadership, healing, and creativity. Most clients can be taught to recognize their innate self-leadership capacity quickly. They begin to take an active role to mediate internal imbalances that cause somatic or psychological symptoms. For many people, this discovery is life-changing. A primary focus of Internal Family Systems Therapy is to honor the person’s protective system of parts. 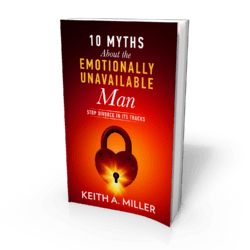 Exploration of exiled (unconscious) parts is not done without first befriending and respecting protective parts that keep the person safe and grounded. The genius of Schwartz was to embed powerful and creative experiential methods like guided imagery within the structural framework of a systems model. Most Internal Family Systems Therapy work does not focus directly on external family members, but is aimed at internal components of the individual’s personality. The result is a system of therapy that seems to mirror the complex elegance of the mind and is versatile enough to be used effectively with both high-symptom and low-symptom populations. As we get comfortable interacting with and embracing our many parts more directly, our parts become more harmonious with each other and with our leadership and will. When this starts to happen, people report feeling a tremendous sense of peace and calm very similar to that experienced from meditation or spiritual experiences. But unlike meditation, which seeks to empty the mind or create a singular zone of focus, self leadership allows you to experience calmness while being very mentally active at times. Much like “flow,” it is often described as an active spiritual experience, a sort of “I” in the storm of emotions and thoughts that creates the space needed for more healing, clarity, confidence and compassion to arise. Thankfully, IFS couldn’t be more different than Bob Newhart’s sketch of therapy. My own experience using Internal Family Systems Therapy, professionally and personally, continues to surprise and delight me, like a simple machine, in its ability to create big changes with relatively little effort. This may just be why I appreciate the comedy of Newhart also, its simplicity. But that discussion will have to wai—stop it!!! 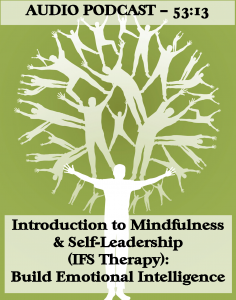 To learn more about Internal Family Systems Therapy, including training in the DC area, go to www.selfleadership.org. 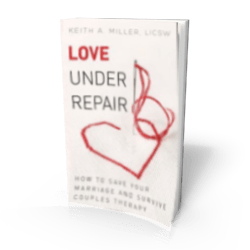 Keith Miller, LICSW, is an Internal Family Systems therapist specializing in relationships, who teaches a six-week introduction to Internal Family Systems Therapy class called Experiential Mindfulness and Self-leadership Basics. 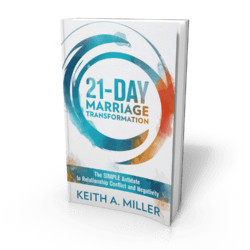 More info at: www.keithmillercounseling.com.